my new favorite cocktail, the French 75.
mostly regarding the amount of each ingredient. It's such a simple drink to make, very difficult to mess up. This is how we make them. 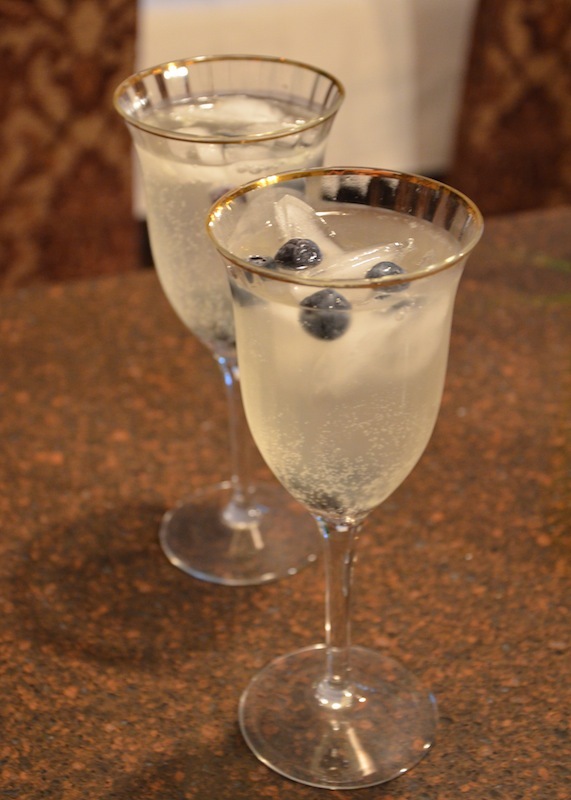 Mix the gin, simple syrup, and lemon juice together. you may want to strain it before adding the champagne. Pour the mixture over ice and top with champagne. You can use whatever glass you like to serve. the shape was reminiscent of a champagne flute. aaaaand I'll be doing this tomorrow.